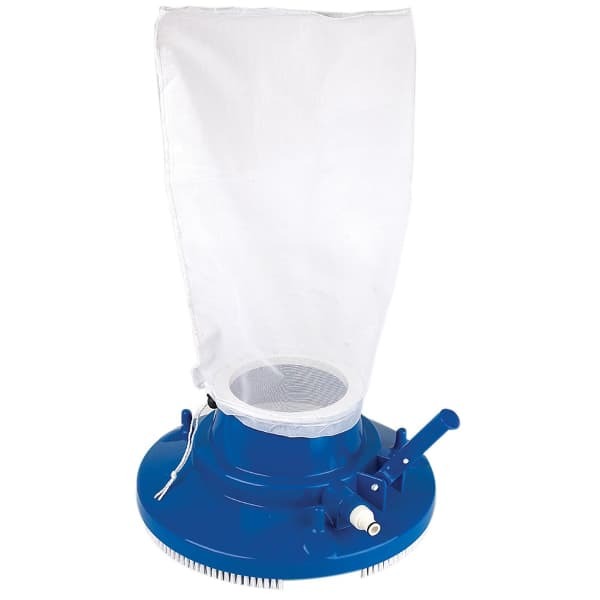 The 13.5" Giant Venturi Leaf Bagger from Swimline connects to any standard garden hose and is designed to keep any pool filter clear of leaves and other large debris. It uses the Venturi Effect, or a reduction in the fluid pressure, as the water passes through a constricted area of the pipe to pull debris into the bag. This unit comes complete with wheels, a handle, brushes and the nylon drawstring leaf bag!